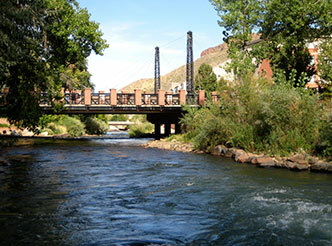 Clear Creek as it flows through Golden, Colorado. Clear Creek Consultants is a water resources consulting firm providing quality service in areas of hydrology, water quality, monitoring, data evaluation and management, and environmental permitting and compliance. Learn more about us, or visit our publicly-accessible stream flow pages.